Also, join the Combat! Facebook fan group, a fan-run discussion group. Artist (and Combat! 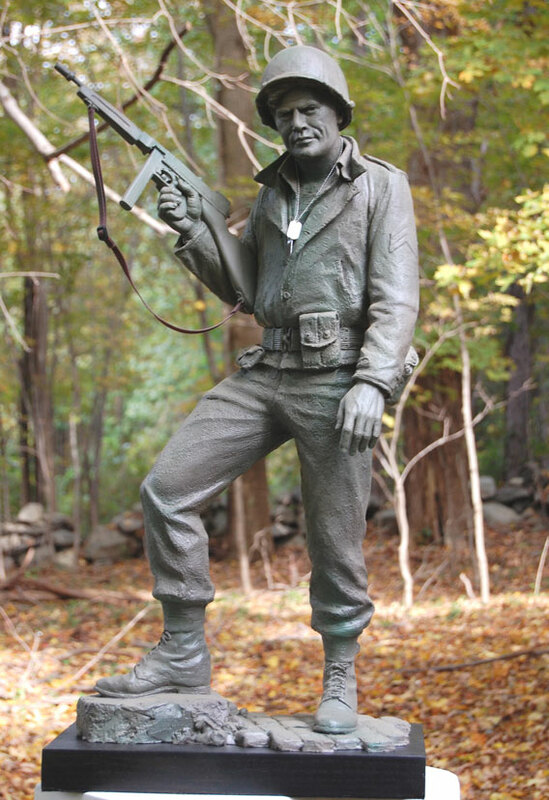 fan) Michael Keropian has designed and created a truly superb work of art honoring Sergeant Saunders. It is the stunning full body sculpture of Saunders shown above. Please visit his website at http://www.keropiansculpture.com/sgt_saunders.html for more photos and further information. 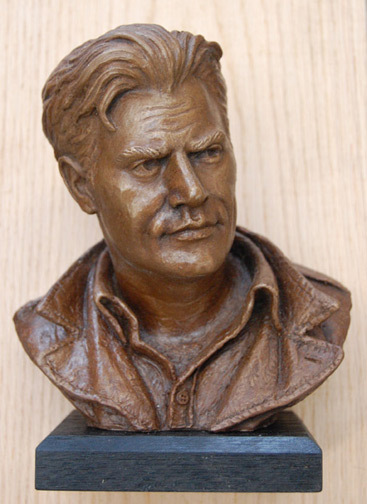 He has also designed a stunning bust of our hero, picture left. If you want a mailing lists for Combat! fans associated with this web site. CombatFan at Yahoo is a free-wheeling, open forum for discussion of "Combat!" This is an unmoderated, high-traffic list.